Four pillars mean the month, day, year, and time (four identifiers) of your birth. The year reveals information resulting from genes, health, aptitude and family background. The month reveals information resulting from parents, brothers, sisters, friends, and school. The day reveals information resulting from your personality, ambition, appearance, interests, dreams, and desires. Time reflects information about one’s life – marriage, family life, career, and success. The element (stem) lets us know influences. The animal (branch) has specific characteristics. The combination of stems and branches provides insight on how we express ourselves and experience life. Want to know more? 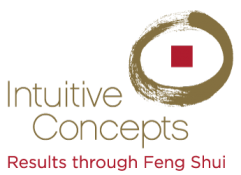 For a customized and more inclusive consult, order a Personal Strategy Session here. DISCLAIMER: This calculator is provided solely for informational, non-commercial, and entertainment purposes only. No warranties, either implied or explicit, are offered by the author. The author shall not be liable for any damages or costs of any type out of any actions taken based upon reliance on this information or the information it provides.